With the development of smartphones and the many apps for them, discovering services to make your daily life simpler, nowadays is quite easily done. If you are tired spending time to look for a free parking space or wasting like looking for exclusive deals offered in your city then the right app can help you with this. We searched and we found for all of you an amazing app for parking and other services to save you a lot of time and money. Let’s see what the Way app is all about. What is Way all about? 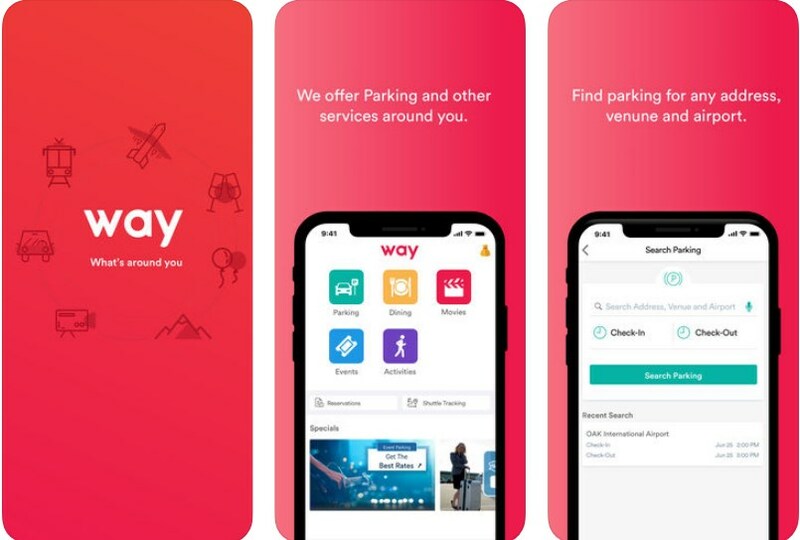 The way is developed for Android and iOS users that need help with finding parking and other services in their city, just with a tap on their phones. This practical and efficient all-in-one marketplace for services offers you the ability to get access to airport parking services, event parking, restaurants, the city, movies, events and bike tours or theme parks activities. With this easy to use and user-friendly leading marketplace, you will save time and money, finding the needed services, great deals and much more that your city is offering you. This all-in-one marketplace for services like dining, movies, parking, the latest events and much more offered in your city, is giving you access to amazing features so you can discover the most amazing deals in your city, with a tap on your phone. With the help of the app, you have the ability to search and discover the best parking rates for airports and reserve your parking space on the chosen airport with a great discount. All you need to do is to select ‘’Parking’’ on the app and the app will immediately search for any airport you choose. On the app, airport parking space in all U.S markets is available. Simply you need locating an airport and selecting the one you are traveling from, and with a tap, you will set your check-in and check-out time. With a second tap, you will be able to add a reservation to your travel bag too. The user when he is ready needs to tap to check out and his parking space will be reserved and waiting. Save time, no more driving around to find a parking space or to pay the fee at your arrival, find and reserve your space with the app’s exclusive discount rates on event parking, concert, stadium, city, festival and other services. Use the instant planer to keep track, plan less and enjoy more. Download it on Google Play and App Store for free to discover parking and other services at great prices!